Metabolism. It's a blessing or a curse. You may have grown up being able to eat anything you wanted and you never gained weight. Suddenly, you've reached your 40's and your body is humming a new tune. That once fast metabolism is now slow and sluggish. You probably know that metabolism is related to your weight, but do you know what it really is? More importantly, do you know how to fix it if its not running optimally? Metabolism is the body process that takes care of making sure our body has the fuel it needs to run.Turning food into energy is a complex process that combines the calories in our food with oxygen, and we all do that at our own individual rate based on age, movement, overall health and heredity. Everything that we do requires energy, from breathing and sleeping to healing wounds and generating new cells. The energy required just to operate our bodies and keep us alive is called our basic metabolic rate. It’s the number of calories we burn just by sitting around or sleeping. If you have a high metabolism, your body will burn lots of calories naturally, because your basic metabolic rate is high. If your metabolism is slow, you may notice that it's harder for you to do your normal routine without gaining weight. Beyond our basic metabolic rate, we burn calories in two other ways. The first one is exercise. The more physical activity we demand of ourselves, the more calories we burn. Exercise is a great way to boost your metabolism, but not all exercise is equal. If you are looking to torch major calories, you need to be adding resistance and Interval training to your routine. HIIT will keep you burning calories after your workout is over and Resistance Training builds muscle which burns more calories while at rest than fat. The second may come to a surprise to you, but it is actually eating food and digesting it. And, just like exercise, not all food is created equal. What you eat and how frequently you eat can really boost a sluggish metabolism. In fact, one of the things that people do when dieting is slow the metabolism because they aren't eating enough food or the right kinds of food. Yes, Food is fuel, but it can also boost a sluggish metabolism when you eat enough of the right kinds of foods. What???? You mean I can eat and lose weight??? Yeppers!!! So, if you want to boost your calorie torching power, be sure to include these metabolism boosters in your diet and reach your weight loss goals that much faster! We’ve all heard of the grapefruit diet. But did you know why it worked for so many people? It turns out that grapefruit contains an antioxidant called “naringenin.” It helps to keep your blood sugar in check and use insulin more efficiently. 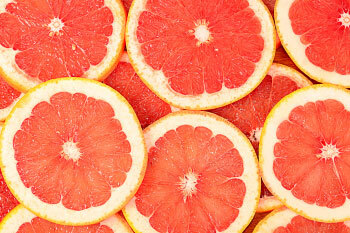 A study that had obese people eating half a fresh grapefruit before meals found they experienced greater weight loss than people who did not eat grapefruit. Cinnamon is a spice that adds great taste and smells to our foods, but did you know that it also can help you burn fat faster? Cinnamon is very effective at fighting metabolic syndrome. lowering blood sugar levels (which means excess sugar isn't being stored as fat) and helps process carbs more efficiently. An added benefit is that it acts as a natural appetite suppressent. I love to add it to oatmeal, quinoa, smoothies, yogurt and my coffee. Every time we look at dark chocolate, we find something else to cheer about! 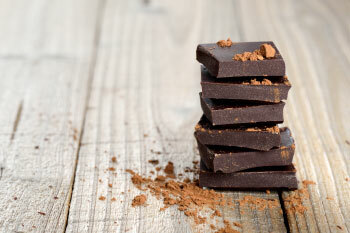 This time it’s the caffeine in the chocolate that has been shown to boost metabolism by between 5 and 8% per day. Dark chocolate contains catechins, which raise resting metabolism by about 4%. So, go ahead and "get yoself" some. Lol My current obsession is dark chocolate covered roasted coffee beans. Vinegar of all types lower our blood sugar. Apple Cider Vinegar slows the rate at which our bodies absorb carbohydrates. Carbs turn to sugar as a fuel source and unused carbs turn to fat. I add some ACV to water every day and love making salad dressings with it. Protein-rich foods, such as meat, fish, eggs, dairy, legumes, nuts and seeds, could help your body to digest, absorb and process the nutrients in your meals. metabolism for a few hours. They do so by requiring your body to use more energy to digest them. This is known as the thermic effect of food (TEF). The TEF refers to the number of calories needed by your body to digest, absorb, and process the nutrients in your meals. Research shows that protein-rich foods increase TEF the most. For example, they increase your metabolic rate by 15–30%, compared to 5–10% for carbs and 0–3% for fats (1). Protein-rich diets also reduce the drop in metabolism often seen during weight loss by helping your body hold on to its muscle mass. What's more, protein may also help keep you fuller for longer, which can prevent overeating. I make it a goal to eat some protein every time I eat. With so many meat and plant based options, it really is a cinch to get enough protein every day. Capsaicin, a chemical found in chili peppers, may boost your metabolism by increasing the number of calories and fat you burn. In fact, a review of 20 research studies reports that capsaicin can help your body burn around 50 extra calories per day. This effect was initially observed after taking 135–150 mg of capsaicin per day, but some studies report similar benefits with doses as low as 9–10 mg per day. Moreover, capsaicin may have appetite-reducing properties. According to a recent study, consuming 2 mg of capsaicin directly before each meal seems to reduce the number of calories consumed, especially from carbs. You can spice up your cooking by adding chili peppers or just sprinkle a little cayenne on your food for an added kick. Certain spices are thought to have particularly beneficial metabolism- boosting properties. For instance, research shows that dissolving 2 grams of ginger powder in hot water and drinking it with a meal may help you burn up to 43 more calories than drinking hot water alone. This hot ginger drink also seems to decrease levels of hunger and enhance feelings of satiety. Some of my favorite ways to consume ginger are by adding it to stir frys, dressings, and I absolutely love to pair with fresh cucumber and mint in my water. Coconut oil is experiencing a surge in popularity, and for good reason. That may be partly because coconut oil is high in medium chain triglycerides (MCTs). This is contrary to most other types of fats, which usually contain higher amounts of long-chain fatty acids. Unlike long-chain fats, once MCTs are absorbed, they go directly to the liver to be turned into energy. This makes them less likely to be stored as fat. Interestingly, several studies show that MCTs can increase metabolic rate more than longer-chain fats. In addition, researchers report that a daily intake of 30 ml of coconut oil may successfully reduce waist size in obese individuals. I add coconut oil to smoothies and my coffee,I use it to saute veggies, and I bake with it. Are you ready to fire up your metabolism? Try adding these foods daily and I promise that you will see a difference in your calorie burn.